Tracking your child´s height - Simply an utterly imperative part of parenthood as your child undergoes the magic transformation from a boy into a man. 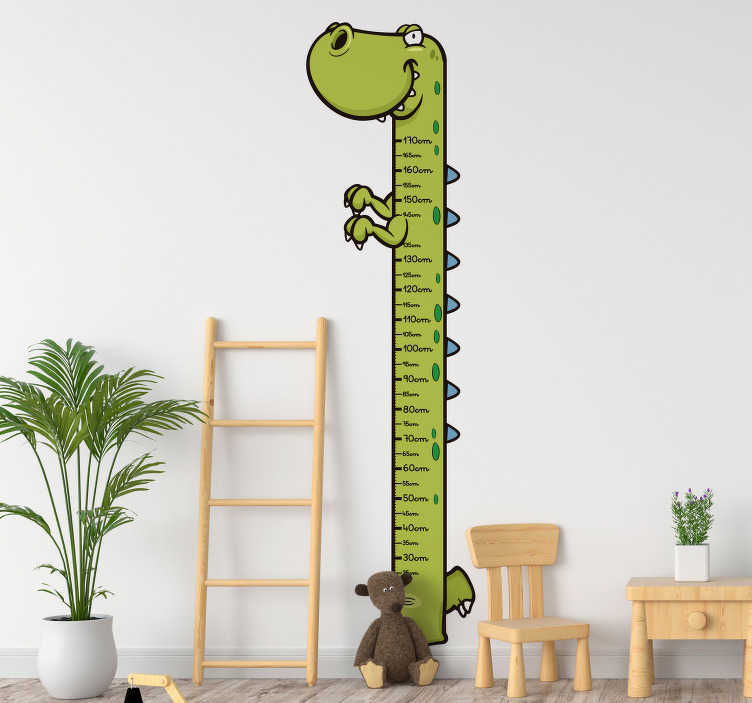 Now, you can do that while also adding a gorgeous piece of child´s bedroom decor with this fantastic, T-Rex inspired height chart wall sticker! Perfect for all of those kids who love dinosaurs and wish to pursue a dino themed aesthetic in their bedroom - You must fulfill a child´s needs when decorating their bedroom to make them feel as comfortable as absolutely possible!